Steel belts for processing of chocolate, candy, bakery and other confectionery products, with applications ranging from simple conveying to continuous processes such as cooling/solidification, conditioning, drop-forming, casting, freezing, baking and finishing. The key benefits of a stainless steel conveyor belt are outstanding thermal properties, excellent return on investment and unparalleled cleanability for maximum hygiene. The thermal qualities of a stainless steel belt enable efficient, controlled cooling, casting and solidification of products such as caramel, chocolate buttons or pastilles, hard melt candy, nougat, nut brittle and more. In addition to supplying steel belt-based cooling lines, IPCO also manufactures associated feeding, cooling and control equipment. 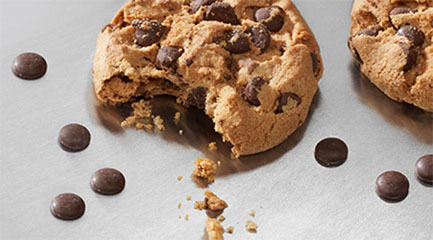 The inherent durability of stainless steel means steel confectionery conveyors are far more resistant to damage by corrosion, abrasion or impact than any other belt type, ensuring a long working life and an attractive return on investment.